We previously wrote about the fantastic Laura Ashley fabric door stops range which was on sale. 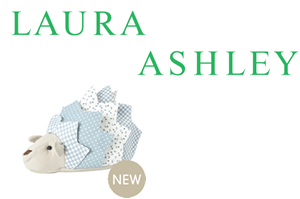 Unfortunately, the Laura Ashley sale was only for a limited period of time but for those who are looking for animal door stops to decorate their kids rooms, 2 brand new fabric doorstops have just been added to their collection! To browse our Animal door stops collection, please click here.